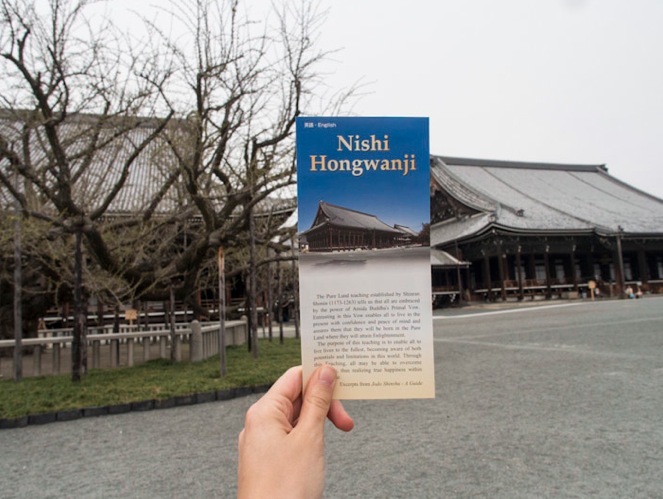 After our amazing visit to the Fushimi Inari Shrine we went back to the area surrounding Kyoto Station to visit Nishi Honganji (sometimes written as Hongwanji too). 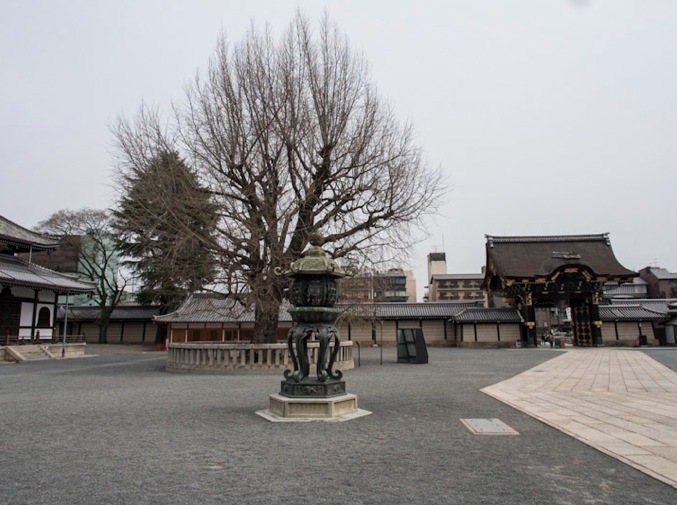 It’s next to Higashi Honganji, but as there are still renovation works going on, we decided to visit only Nishi Honganji, which is the temple to the West. 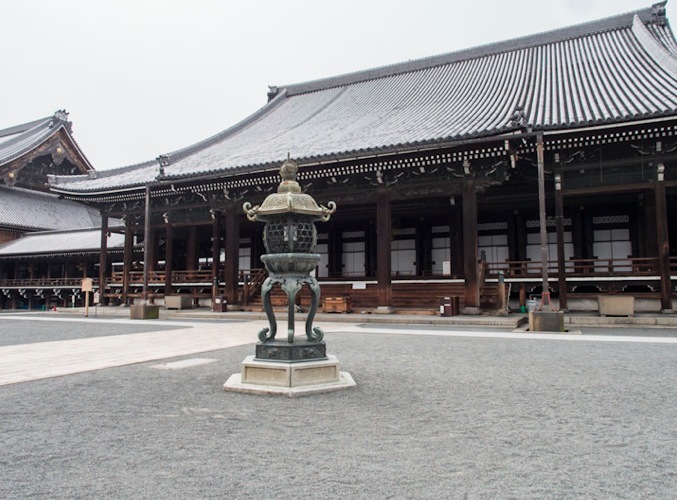 It was built in 1591 and its two largest structures are the Goeido Hall, dedicated to the sect’s founder, and the Amidado Hall dedicated to the Amida Buddha. 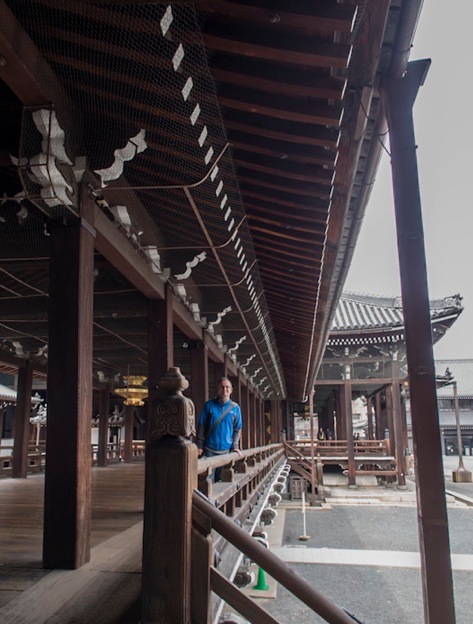 Nishi Honganji is designated an UNESCO world heritage site, that’s why we visited it – but I’ve seen more interesting temples in Kyoto. This one had two huge halls with lots of dark wood. 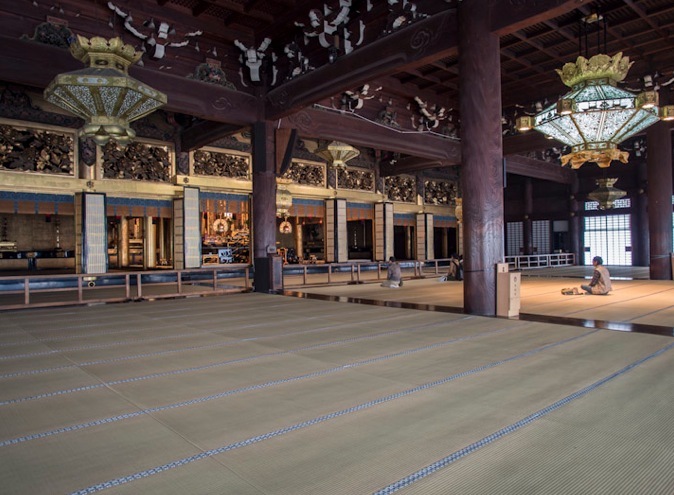 There were lots of pebbles and dust in the big empty spaces surrounding the halls – and not many trees. It did not feel as beautiful and relaxing as some of the other places we had visited. Maybe we should have come in summer, with sunshine, blue sky and green leaves on the trees – but this April day, it felt barren, cold and grey.